Dendroaspis natriuretic peptide (DNP), a recently discovered peptide, shares structural similarity to the other known natriuretic peptides, ANP, BNP, and CNP. Studies have reported that DNP is present in human and canine plasma and atrial myocardium and increased in plasma of humans with congestive heart failure (CHF). In addition, synthetic DNP is markedly natriuretic and diuretic and is a potent activator of cGMP in normal animals. These studies report the acute intravenous actions of synthetic DNP in experimental severe CHF and suggest that on the basis of its beneficial properties, DNP may have potential as a new intravenous agent for the treatment of decompensated CHF. Amino acid structures of atria1 (ANP, 28 amino acids), brain (BNP, 32 amino acids), C-type (CNP, 22 amino acids), and Dendroaspis (DNP, 38 amino acids) natriuretic peptides with similar 17-amino acid disulfide ring structures. Novel Snake Venom Ligand Dendroaspis Natriuretic Peptide Is Selective for Natriuretic Peptide Receptor-A in Human Heart. Downregulation of Natriuretic Peptide Receptor-A in Heart Failure The natriuretic peptides are considered to be cardioprotective; however, their receptors have not been identified in human myocardium using radiolabeled analogs. Dendroaspis natriuretic peptide (DNP) has been recently identified as a new member of this peptide family and is thought to be less susceptible to enzymatic degradation. Therefore, we have developed the novel radiolabeled analog [(125)I]-DNP and used this to localize high-affinity (KD=0.2 nmol/L), saturable, specific binding sites in adult human heart (n=6) and coronary artery (n=8). In competition binding experiments, atrial natriuretic peptide and brain type natriuretic peptide had greater affinity for [(125)I]-DNP binding sites than C-type natriuretic peptide and the natriuretic peptide receptor (NPR)-C ligand, cANF. This rank order of potency suggested binding of [(125)I]-DNP was specific to NPR-A. Messenger RNA encoding NPR-A was identified in left ventricle and coronary artery smooth muscle, and expression was confirmed by immunocytochemical studies at the protein level. 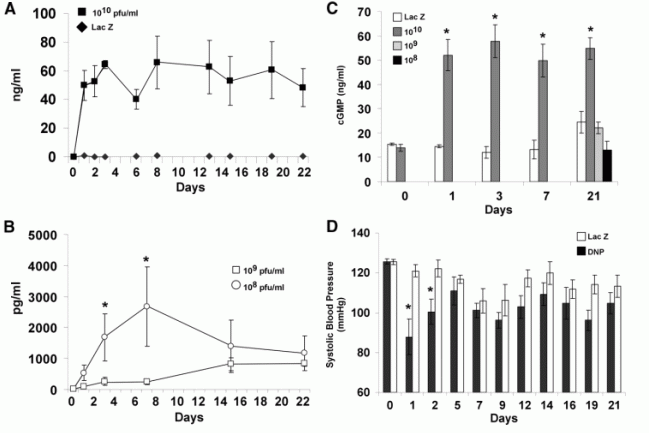 Effects of expression of cDNP in normotensive mice. Intravenous delivery of increasing doses of Ad-BNP-2 resulted in sustained different elevated circulating levels of cDNP for at least 21 days at the highest dose (A) and transiently at a lower dose (B). Intravenous delivery of Ad-BDNP-2 with the dose of 1.33 x 1010 plaque-forming units/ml resulted in sustained elevated levels of cGMP for at least 21 days but not at lower doses (C). Intravenous delivery of Ad-BDNP-2 resulted in lowering systolic blood pressure transiently in normotensive mice (D). *Significant difference relative to LacZ control (P < 0.05). OBJECTIVE: Hypovolemia after aneurysmal subarachnoid hemorrhage (SAH) may be mediated by natriuretic peptides and can further impair cerebral perfusion in dysautoregulated and vasospastic arterial territories. 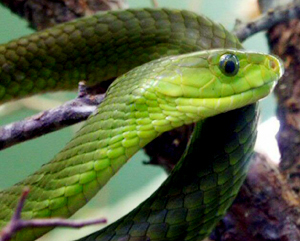 Dendroaspis natriuretic peptide (DNP), derived from the venom of Dendroaspis augusticeps, the Green Mamba snake, has recently been discovered in human plasma and atrial myocardium. There is no information regarding the presence or putative role of this peptide in patients with aneurysmal SAH. METHODS: A sensitive and specific DNP radioimmunoassay was performed on venous blood samples obtained on post-SAH Days 1, 3, and 7 from 10 consecutive SAH patients (cases) and randomly from 9 healthy volunteers (controls). Clinical and laboratory data, including daily serum sodium concentration and fluid balance, were collected prospectively up to 7 days after the ictus. RESULTS: Increase in plasma DNP levels occurred in five (63%) of eight patients who had DNP levels measured on Days 1 and 3 (mean increase, 29%). An increase in DNP level was significantly associated with development of a negative fluid balance (P = 0.003) and hyponatremia (P = 0.008). Three (75%) of the four patients who developed cerebral vasospasm during this study experienced an increase in DNP levels from Days 1 to 3. CONCLUSION: The present study is the first to find a significant association between elevated levels of DNP, a new member of the natriuretic peptide family, and the development of diuresis and natriuresis in patients with aneurysmal SAH. Our findings warrant further investigation by means of a large-scale, prospective, case-control study. OBJECTIVES: The objectives of the current study were to define for the first time the roles of the natriuretic peptide (NP) receptors and neutral endopeptidase (NEP) in mediating and modulating the renal actions of Dendroaspis natriuretic peptide (DNP), a new therapeutic synthetic NP. BACKGROUND: Recent reports have advanced the therapeutic potential of a newly described synthetic NP called DNP. Dendroaspis natriuretic peptide is a 38-amino acid peptide recently isolated from the venom of Dendroaspis augusticeps (the green mamba snake). METHODS: Synthetic DNP was administered intra-renally at 5 ng/kg/min to 11 normal anesthetized dogs, 5 of which received the NP receptor antagonist HS-142-1 (3 mg/kg intravenous bolus) while the remaining 6 dogs received an infusion of the NEP inhibitor, candoxatrilat (8 and 80 microg/kg/min) (Pfizer, Sandwich United Kingdom). RESULTS: Intra-renal DNP resulted in marked natriuresis associated with increased urinary cyclic guanosine monophosphate excretion (UcGMPV), glomerular filtration rate (GFR), and renal blood flow (RBF) and decreased distal fractional sodium reabsorption (FNaR) compared with baseline. HS-142-1 attenuated the natriuretic response to DNP, resulting in decreased UcGMPV, GFR, and RBF and increased distal FNaR. In contrast, low and high doses of NEP inhibitor did not potentiate the renal actions of DNP. CONCLUSIONS: We report that the NP receptor blockade attenuated the renal actions of synthetic DNP and that the NEP inhibitor did not alter the renal response to DNP. This latter finding is a unique property of synthetic DNP, as distinguished from other known NPs, supporting its potential as a therapeutic agent. BACKGROUND: Dendroaspis natriuretic peptide (DNP) is the newest member of the natriuretic peptide family and is a circulating peptide in humans. The effects of DNP on the human vasculature are unknown. Since other natriuretic peptides are known to cause vasorelaxation, we determined the response to DNP on human blood vessels in vitro. We also investigated the mechanism of DNP mediated vasorelaxation. METHODS: Rings of human internal mammary artery and saphenous vein were suspended in an organ bath. The response to cumulative concentrations of DNP was obtained. Inhibiting agents were used to determine the mechanism of this vasorelaxation. RESULTS: DNP caused dose-dependent relaxation, with a greater effect on the internal mammary arteries (relaxation from 10(-7) mol/l DNP: 80.6+/-4.1%) than the saphenous veins (33.4+/-4.1%). At 10(-7) mol/l, DNP resulted in less arterial relaxation compared with atrial and C-type natriuretic peptides and similar relaxation to brain natriuretic peptide. In veins, DNP caused the greatest relaxation of the natriuretic peptides. DNP increased tissue cyclic guanosine monophosphate (cGMP) determined by radioimmunoassay by over 7-fold. Barium chloride and indomethacin attenuated DNP mediated vasorelaxation. However, glibenclamide, charydotoxin, apamin, tetraethyl-ammonium chloride and diisothiocyanato-stilbene-2,2'-disulfonic acid did not. DNP mediated vasorelaxation was mildly attenuated with removal of the endothelium. DNP immunoreactivity was identified in both arteries and veins. CONCLUSIONS: The current study demonstrates that DNP is an endogenous human natriuretic peptide that relaxes human arteries more than veins. Furthermore, DNP mediated vasorelaxation involves the inward rectifying potassium channels, prostaglandins, and cGMP. This newest member of the natriuretic peptide family may have an important physiologic role in the human. Dendroaspis natriuretic peptide (DNP), a recently discovered peptide, shares structural similarity to the other known natriuretic peptides, ANP, BNP, and CNP. Studies have reported that DNP is present in human and canine plasma and atrial myocardium and increased in plasma of humans with congestive heart failure (CHF). In addition, synthetic DNP is markedly natriuretic and diuretic and is a potent activator of cGMP in normal animals. To date, the ability of synthetic DNP to improve cardiorenal function in experimental CHF is unknown. Synthetic DNP was administered intravenously at 10 and 50 ng. kg(-1). min(-1) in dogs (n=7) with severe CHF induced by rapid ventricular pacing for 10 days at 245 bpm. In addition, we determined endogenous DNP in normal (n=4) and failing (n=4) canine atrial and ventricular myocardium. We report that administration of synthetic DNP in experimental severe CHF has beneficial cardiovascular, renal, and humoral properties. First, DNP in CHF decreased cardiac filling pressures, specifically right atrial pressure and pulmonary capillary wedge pressure. Second, DNP increased glomerular filtration rate in association with natriuresis and diuresis despite a reduction in mean arterial pressure. Third, DNP increased plasma and urinary cGMP and suppressed plasma renin activity. Fourth and finally, we report that DNP immunoreactivity is present in canine atrial and ventricular myocardium and increased in CHF. 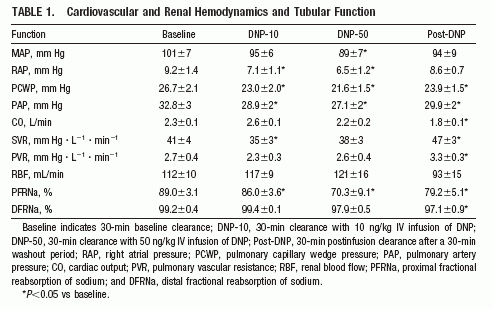 Renal response to synthetic DNP in experimental severe CHF. A, GFR; B, urinary sodium excretion (UNaV); C, urine flow; D, urinary excretion of cGMP (UcGMPV). represents baseline; , infusion of low- (10 ng/kg; DNP-10) and high-dose (50 ng/kg; DNP-50) DNP; and , postinfusion clearance (Post-DNP). Values are mean¡ÀSEM. *P<0.05 vs baseline. BACKGROUND: Dendroaspis natriuretic peptide (DNP), recently isolated from the venom of the green Mamba snake Dendroaspis angusticeps, is a 38 amino acid peptide containing a 17 amino acid disulfide ring structure similar to that of atrial natriuretic peptide (ANP), brain natriuretic peptide (BNP), and C-type natriuretic peptide (CNP). DNP-like immunoreactivity (DNP-LI) was reported to be present in human plasma and atrial myocardium and to be elevated in human congestive heart failure. Although previously named DNP, it remains unknown if DNP is natriuretic or if is it present in canine plasma, urine, and atrial myocardium. METHOD: Studies were performed in vivo in anesthetized dogs (N = 6) using intravenous infusion of synthetic DNP at 10 and 50 ng/kg/min. Employing a sensitive and specific radioimmunoassay for DNP, the presence of DNP-like peptide was assessed in the canine plasma and urine before, during, and following the administration of exogenous synthetic DNP. 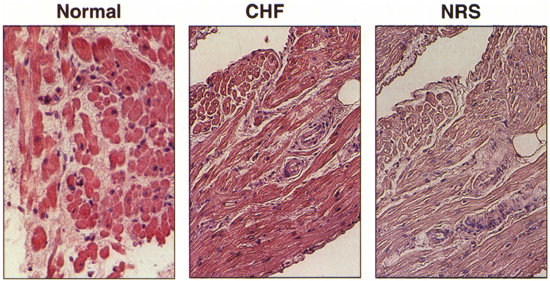 Additionally, we performed immunohistochemical studies using the indirect immunoperoxidase method with polyclonal DNP antiserum in normal atrial myocardium (N = 10). Atrial concentrations of DNP-LI were also assessed. RESULTS: We report that DNP is markedly natriuretic and diuretic, which, like ANP and BNP, is associated with the increase in urinary and plasma cGMP. DNP-like peptide is also detected in canine plasma, urine, and atrial myocardium. CONCLUSION: These studies establish that DNP is a potent natriuretic and diuretic peptide with tubular actions linked to cGMP and that DNP may play a physiological role in the regulation of sodium excretion. 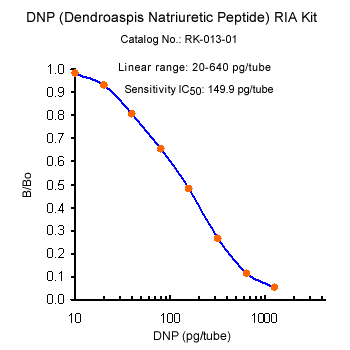 OBJECTIVE: To determine whether Dendroaspis natriuretic peptide (DNP), a novel peptide isolated from the venom of the Dendroaspis angusticeps snake that contains a 17-amino acid disulfide ring structure similar to that in atrial, brain, and C-type natriuretic peptides, is present in normal human plasma and myocardium and whether, like the other natriuretic peptides, DNP-like immunoreactivity (DNP-LI) is activated in human congestive heart failure (CHF). MATERIAL AND METHODS: Circulating DNP-LI was assessed in 19 normal human subjects and 19 patients with CHF (New York Heart Association class III or IV) with a specific and sensitive radioimmunoassay for DNP with no cross-reactivity with the other natriuretic peptides. 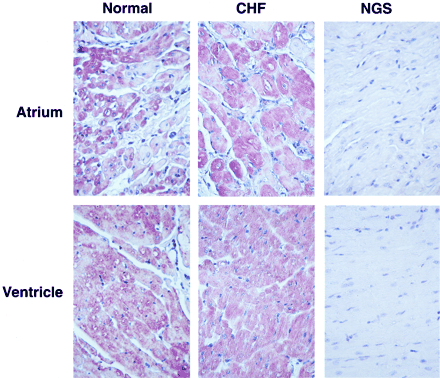 Immunohistochemical studies that used polyclonal rabbit anti-DNP antiserum were performed on human atrial myocardial tissue obtained from four patients with end-stage CHF who were undergoing cardiac transplantation and from three donor hearts at the time of transplantation. RESULTS: We report that DNP-LI circulates in normal human plasma and is present in the normal atrial myocardium. In addition, DNP-LI is increased in the plasma of patients with CHF. CONCLUSION: This study demonstrates, for the first time, the presence of a DNP-like peptide in normal human plasma and in the atrial myocardium. Additionally, these studies demonstrate increased plasma DNP-LI in human CHF. These results support the possible existence of an additional new natriuretic peptide in humans, which may have a role in the neurohumoral activation that characterizes human CHF. Immunohistochemical studies were performed by the indirect immunoperoxidase method, as described previously. Tissues were immediately fixed with 10% buffered formalin and embedded in paraffin; sections 6 ¦Ìm thick were cut and mounted on silanized glass slides. The slides were incubated at 60¡ãC and deparaffinized with graded concentrations of xylene and ethanol. To block the activity of endogenous peroxidase, we incubated the slides with 0.6% hydrogen peroxide in methanol for 20 minutes at room temperature. After being washed, sections were incubated in 5% goat serum (Dako Corp., Carpinteria, California) for 10 minutes at room temperature to reduce non-specific background staining, and they were then incubated with polyclonal rabbit anti-DNP antiserum (Catalog No. : H-013-01) (Phoenix Pharmaceuticals) at a dilution of 1:500 (in normal goat serum) in humidified chambers for 24 hours at room temperature. All slides were incubated for 30 minutes with a second antibody-horseradish peroxidase conjugate (BioSource, Camarillo, California). The reaction was visualized by incubating the sections with freshly prepared reagent that contained 3¡ä-amino-9¡ä-ethylcarbazole (Sigma Chemical Company, St. Louis, Missouri) in dimethylformamide and sodium acetate. The sections were counter-stained with hematoxylin, coverslipped, and reviewed with use of an Olympus microscope. Six independent observers, without knowledge of the respective groups from which these tissues originated, reviewed these sections. 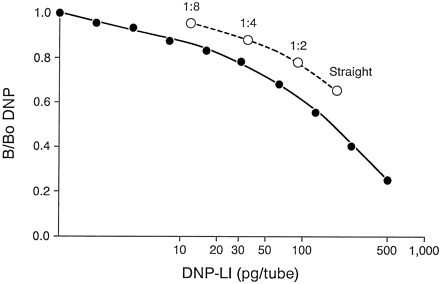 The presence of DNP-LI was quantified on the basis of the following scale of staining: 0=none; 1=minimal density; 2=mild density; 3=moderate density; and 4=maximal density. Control sections were stained with 1% non-immune goat serum. Immunohistochemical staining for DNP in canine normal and CHF atrium and ventricle. Representative sample of atrial and ventricular myocardium from normal (n=4) and CHF dogs (n=4) not exposed to exogenous DNP. NGS indicates normal goat serum (magnification x400). Blood samples for the DNP assay were collected in chilled tubes that contained ethylenediaminetetraacetic acid and immediately placed on ice. After centrifugation at 2,500 rpm at 4¡ãC for 10 minutes, the plasma was decanted and stored at ¨C20¡ãC until analyzed. Plasma (1 mL) was extracted on C-8 Bond Elute cartridges, which were washed with methanol and distilled water. DNP was eluted with 95% methanol that contained 1% trifluoroacetic acid. Concentrated eluates were then assayed with a specific and sensitive radioimmunoassay for DNP (Catalog No. : RK-013-01) (Phoenix Pharmaceuticals, Belmont, California). Samples and standards were incubated with rabbit anti-DNP at 4¡ãC for 24 hours. 125I-labeled DNP (100 ¦ÌL) was added, and incubation was continued for another 24 hours at 4¡ãC. Free and bound fractions were then separated by addition of a second antibody and normal rabbit serum and centrifuged. Radioactivity of the bound fraction was measured with a gamma counter. The minimal detectable level for this assay is 0.5 pg per tube, and the 50% inhibitory concentration of the standard curve was 29.0 pg. Recovery was 83.0¡À1.8%, and intra-assay variation was 10.0¡À3.2%. No cross-reactivity of the antibody to DNP was noted with ANP, BNP, CNP, or endothelin. 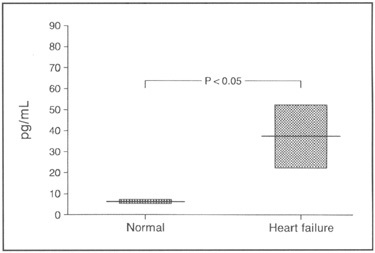 Box-plot of plasma Dendroaspis natriuretic peptide-like immunoreactivity in normal human volunteers (N=19) and humans with heart failure (N=19). Middle horizontal lines=means; vertical bars=standard error of mean. The concentration of cDNP in conditioned media was measured by a modified radioimmunoassay method previously described . Briefly, 1 ml conditioned media was applied to the prepared C-8 Bond-Elut cartridge, and 2 ml of 90% methanol in 1% trifluoroacetic acid were used to elute the bound material from cartridge. The eluate was dried and reconstituted in 300 ¦Ìl of assay buffer and ready for radioimmunoassay using the kit (Catalog No. : RK-013-01) from Phoenix Pharmaceuticals (Mountain View, CA). Samples and standards were incubated with anti-DNP antibody at 4¡ãC for 24 h. 125I-labeled DNP was added and incubated for 24 h. Free and bound fractions were separated by the addition of a second antibody and normal rabbit serum and centrifuged. Radioactivity of the bound fraction was measured with a gamma counter. A standard curve was generated and used to calculate the concentrations of the unknown samples (reported in pg/ml). DNP-RIA displacement curve using diluted atrial extracts. 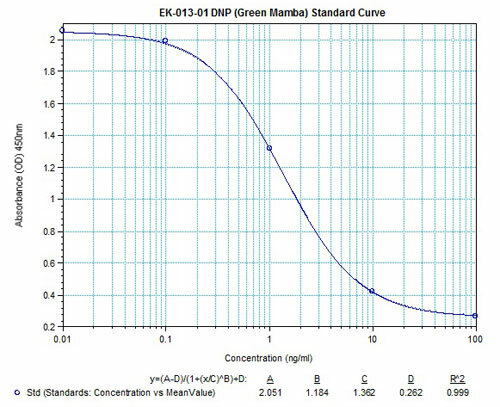 Curve of ; represents DNP standard. Curve of ; parallel to standard curve represents atrial extracts diluted at 1:2, 1:4, and 1:8. DNP-LI indicates DNP-like immunoreactivity; B/Bo, (average net counts of standard or sample/average net counts of zero standard)x100. Schematic representation of human brain natriuretic peptide (BNP) cDNA and the chimeric constructs generated. BDNP-1 contains the signal peptide sequence of BNP upstream of the "humanized" dendroaspis natriuretic peptide (DNP) coding sequence. BDNP-2 contains the entire prepropeptide sequence from BNP upstream of the "humanized" DNP coding sequence. Each was subcloned into an eukaryotic expression plasmid containing the cytomegalovirus promoter/enhancer. Cancer Lett. 2007 Aug 28;254(1):94-101. Best et al. Dendroaspis natriuretic peptide relaxes isolated human arteries and veins. Cardiovasc Res. 2002 Aug 1;55(2):375-84. Chen et al. Natriuretic peptide receptors and neutral endopeptidase in mediating the renal actions of a new therapeutic synthetic natriuretic peptide dendroaspis natriuretic peptide. J Am Coll Cardiol. 2002 Sep 18;40(6):1186-91. Lainchbury et al. Actions of a novel synthetic natriuretic peptide on hemodynamics and ventricular function in the dog. Am J Physiol Regul Integr Comp Physiol. 2002 Apr;282(4):R993-8. Lisy et al. Therapeutic actions of a new synthetic vasoactive and natriuretic peptide, dendroaspis natriuretic peptide, in experimental severe congestive heart failure.